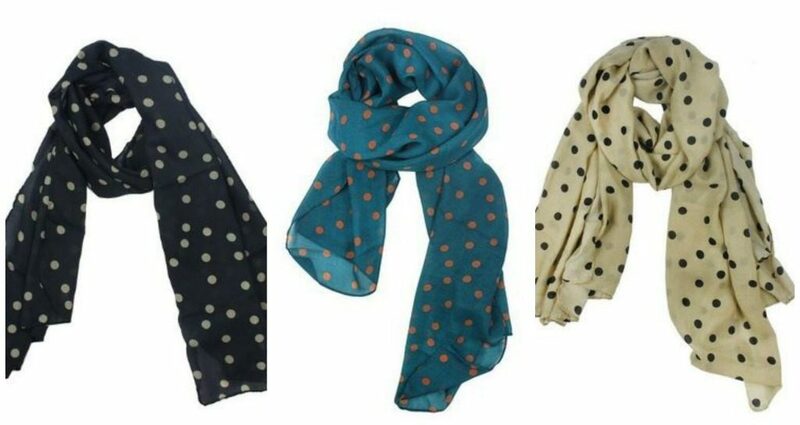 Polka Dot Scarves Just $2.29 + FREE Shipping! You are here: Home / Great Deals / Amazon Deals / Polka Dot Scarves Just $2.29 + FREE Shipping! Head over to Amazon and get your choice of three polka dot scarves for as low as $2.29 plus FREE shipping! Choose from Black, Blue, Navy Blue, Pink, Red and Beige.